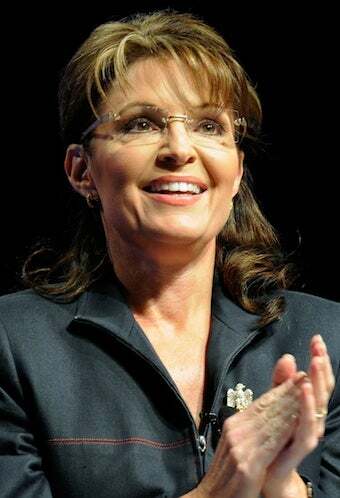 This is how powerful sisterhood is for Sarah Palin: last night, a few hours after she coined the phrase "cackle of rads," she set herself apart from their habitual crucifixions by bravely standing by Dr. Laura. Perhaps Palin believes that just as she has become more powerful while breezily quitting actual elected office, Schlessinger will be ever-freer to spout bigotry and lunacy at will without any issues with her sponsors. And she'll have the added bonus of already possessing millions of dollars. I'm stunned - couldn't the Republican Party find one competent female with adult children to run for Vice President with McCain? ... What kind of role model is a woman whose fifth child was recently born with a serious issue, Down Syndrome, and then goes back to the job of Governor within days of the birth? ..Child-care facilities are a necessity when mothers and fathers (when they exist at all) are unwilling or incapable of caring for their offspring. Unfortunately, they have become a mainstay of the feminista mentality that nothing should stand in the way of a woman's ambition - nothing, including her family. Any full-time working wife and mother knows that the family takes the short end of the stick. Marriages and the welfare of children suffer when a stressed-out mother doesn't have time to be a woman, a wife, and a hands-on Mommy. Walsh suggests that "Palin keep Bristol, a single mom, away from Dr. Laura. The syndicated bully treats single moms about as viciously as she treated the black woman who phoned in for help dealing with her white in-laws' racism – and does it with far more frequency." She also often refers to gay people as deviants more likely to be pedophiles, in addition to her other enlightened views on morality and sexual politics. Match made in heaven, apparently. Update: And Stephen Colbert has his own take on Schlessinger's assertion that people need to get a sense of humor about race: "That's why Thomas Jefferson didn't marry Sally Hemmings. She never laughed at his slave jokes."